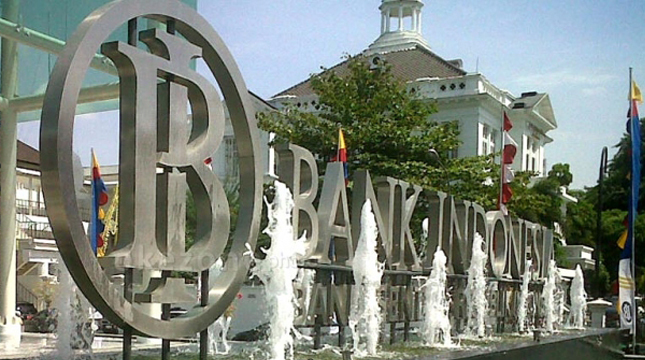 INDUSTRY.co.id - Jakarta - Bank Indonesia shall punish a fine of up to Rp300 million for individuals or unlicensed corporations carrying foreign banknotes across customs with a value of at least or equivalent to Rp 1 billion. It is stated in Bank Indonesia Regulation (PBI) no. 20/2 / PBI / 2018 concerning the carrying of Foreign Banknotes (UKA) into and outside the Indonesian Customs Area quoted in Jakarta on Monday (12/3/2018). Before the issuance of the regulation, the Central Bank shall only prevent the carrying of UKA equivalent to or exceeding Rp1 billion by unauthorized individuals or corporations. "The new regulation is expected to increase the effectiveness of law enforcement against violations of UKA provisions," said Head of Communication Department BI Agusman. The penalties are exempted for licensed institutions, namely Banks and Non-Bank Money Changers Business (KUPVA) operators who have obtained permits and approvals from BI. In practice, UKA's supervision and imposition of fines in the customs area will be conducted by the Directorate General of Customs and Excise. The determination of the fine and the mechanism of depositing in the State Treasury is harmonized with the norms applicable in other legislation related to the carrying of cash, such as Government Regulation (PP) no. 99 of 2016 concerning the Carrying of Cash and / or Other Payment Instruments Into or Outside the Indonesian Customs Area. Based on this, the amount of penalty sanction imposed on a person (individual or corporation) that is not licensed and approved is 10 percent of all UKA carried with a fine of up to Rp300 million. Sanctions in the form of fines shall also be imposed on the UKU licensed License Agreement by the amount exceeding the approval of UKA by Bank Indonesia, amounting to 10 percent (ten percent) of the excess amount of UKA carried with a fine equivalent to a maximum of Rp300 million. Agusman explained that improving the UKA's provision is expected to strengthen UKA's supervision to Indonesia. Thus, monitoring of UKA can support the effectiveness of monetary policy, particularly in controlling exchange rates. Nevertheless, Agusman claims, this policy is not a foreign exchange control policy. Indonesian citizens (WNI) and Foreigners (Foreigners) who require UKA above the UKA's permit limits will still be able to meet the foreign exchange requirement, noncash. Implementation of the application for license as a License Board and application for approval of UKA's quota of quotas to Bank Indonesia will be effective from June 4, 2018. While imposing sanctions against PBI violations will be effective on September 3, 2018.